The Detroit City Council has unanimously approved a lease for DTE Energy, one of Michigan’s utilities, that will allow the company to develop a 10 acre solar energy system. The system will be developed on vacant land owned by the city. The city council believes that the project will act as a catalyst to improve the neighborhood in which the system is being built. It may also create new job opportunities for locals, some of whom may benefit from experience working in the renewable energy space. The solar project is expected to be completed by the end of this year and DTE Energy will be operating the project for the next 20 years. Before the project was approved, the city council members urged DTE Energy and its supporters to adequately inform the community of the project itself. The council held four community meetings before granting approval in an effort to gather information and opinions from those living in the area that will be affected by the project. 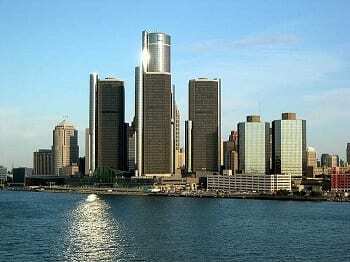 Per the terms of DTE Energy’s new lease, the city will receive a one-time payment of $25,000 from the utility. The company has also agreed to maintain a portion of the city property it will be using. This will save the city some $400,000 over the 20-year lease. The project is expected to produce some $1.4 million in tax revenue over that time as well. The project itself is associated with a larger initiative from DTE Energy, which is also developing a 250 acre solar array, considered to be the largest utility-owned solar project east of the Mississippi. Detroit has struggled to overcome serious economic challenges in recent years and renewable energy may help the city recover from the financial damage it has sustained. The tax revenue and job opportunities created by the new project may bring about some economic advantages to the city. The energy produced by the project will not be used to directly power nearby homes, but will be fed into the local infrastructure. I would like to see Detroit go into the sugar-based ethanol making business from sugar beets and require all trucks and SUVs to use E85.